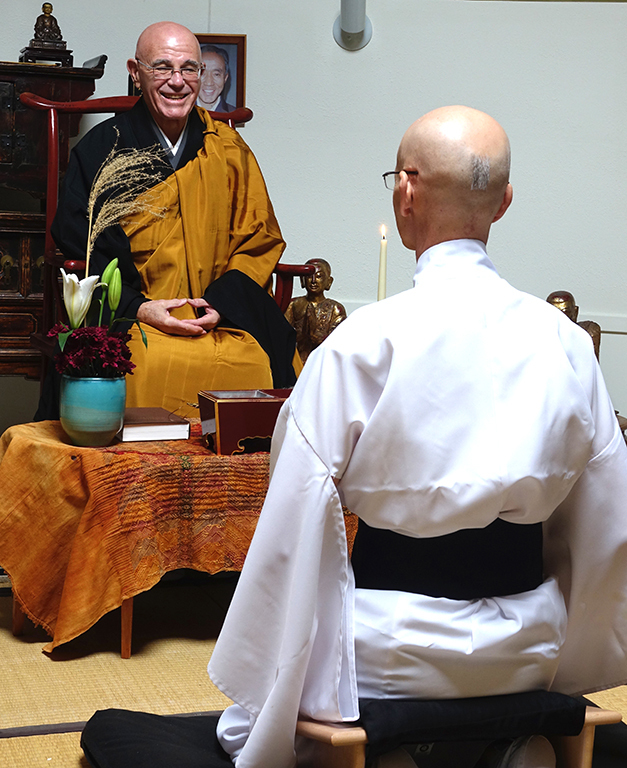 Daishin Sensei smiles at Kikuu. A tuft of hair is left on Kikuu’s head before it is shaven completely. The last tuft is shaven off. 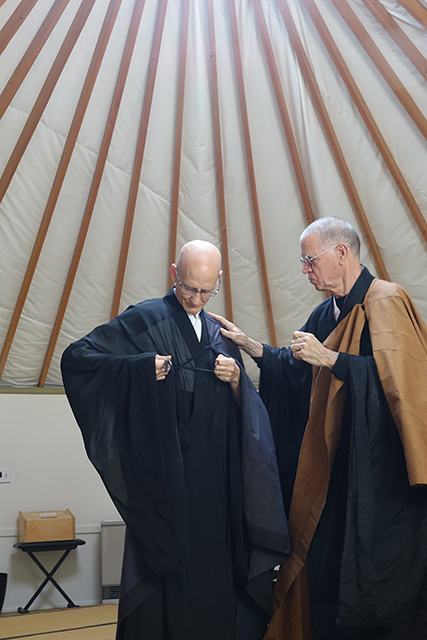 Daishin Sensei presents Kikuu with his dharma name. Hakuzan presents Kikuu with the okesa. Kikuu recites the robe chant before putting on the okesa. Hakuzan assists Kikuu in putting on the okesa. 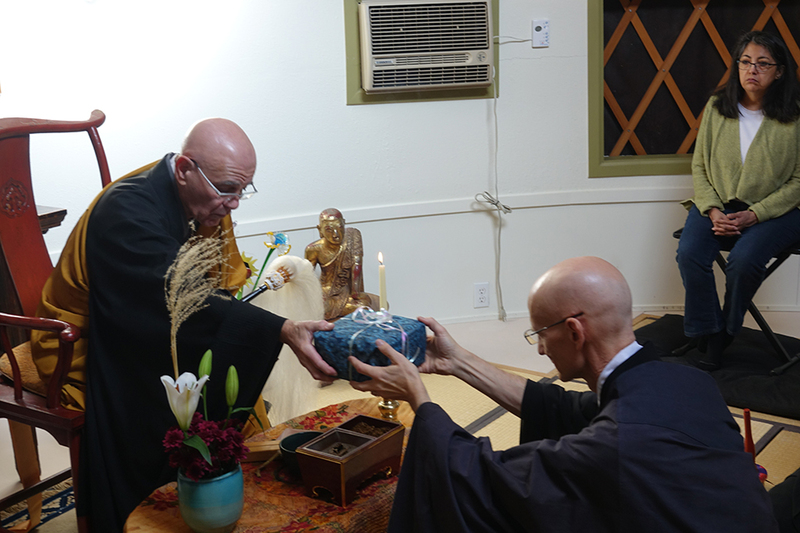 Daishin Sensei gives Kikuu the oryoki bowls. The sangha in attendance at Kikuu’s ceremony.